Northumberland is one of my favourite coastal regions. It has a fine mix of sandy and rocky beaches with a number of castles perched on the extremities of the land. Here, the first light of a cool dawn is just caressing the rocks and clouds. 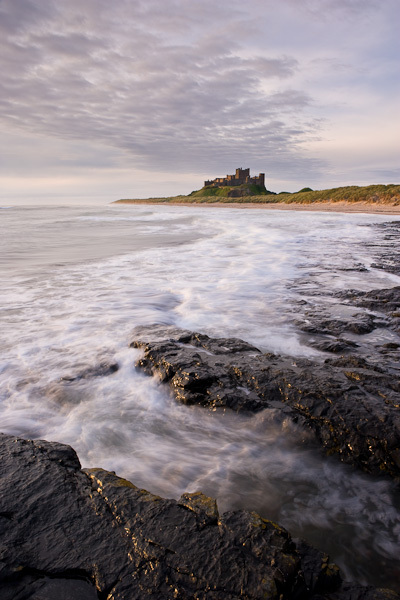 The shape of the incoming tide nicely mimics that of the clouds, as they point towards the picturesque castle.